Meiko Kaiji in ninja gear? Swoon! 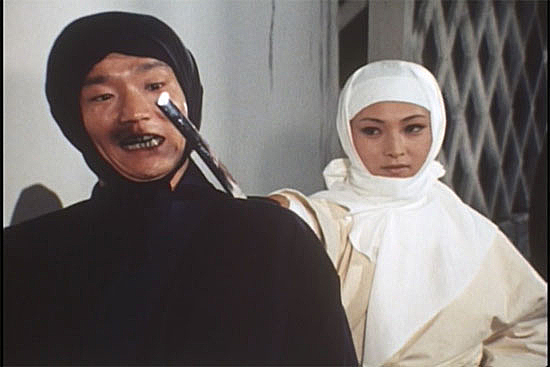 For the unfamiliar – and as a major lover of 70’s and 80’s Japanese action TV I HIGHLY recommend you become familiar – the Oedo Sosamo / Onmitsu Doshin property spans around 18 years of prime-time TV, TV specials and theatrical releases. Think of it like a chambara version of The Untouchables or even The Mod Squad, with a who’s-who of genre stars filling in roles of shadow-skilled secret police patrolling feudal Edo. 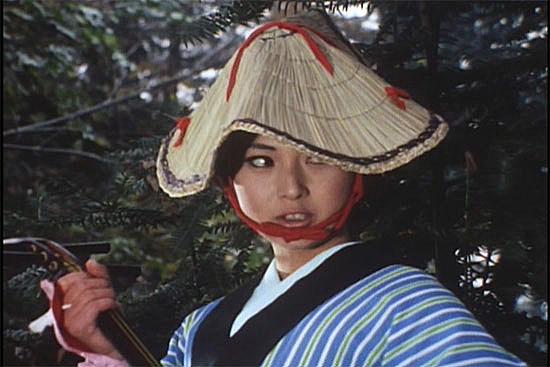 Kaji was just one of many kunoichi cuties and blade-weilding honeys featured. 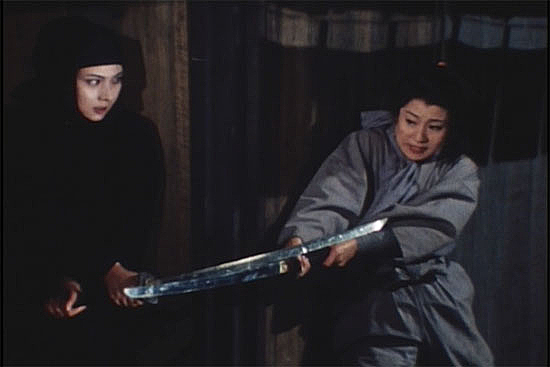 The female’s role in the team would always be disguised info gatherer and undercover intelligence, but when the gloves came off, they’d have short sword in hand ready to throw down. Needless to say, if a female villain ever showed up, it was the kunoichi’s job to take her out. You don’t want your handsome leading men cutting women in half, no matter how much they might deserve it. Read more on the gorgeous and enigmatic Kaji at Cult Sirens and at Pinky Violence. 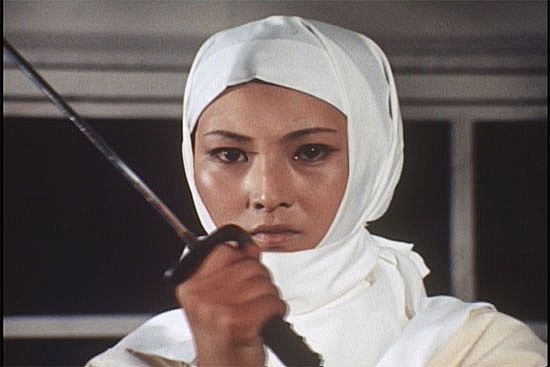 Chris D’s superb Outlaw Masters of Japanese Film is a must read as well. 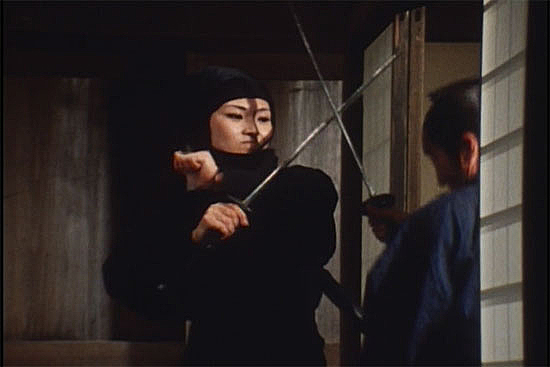 AND speaking of ‘sword girls’ – check out this article on the rise in women’s sword training in Japan! 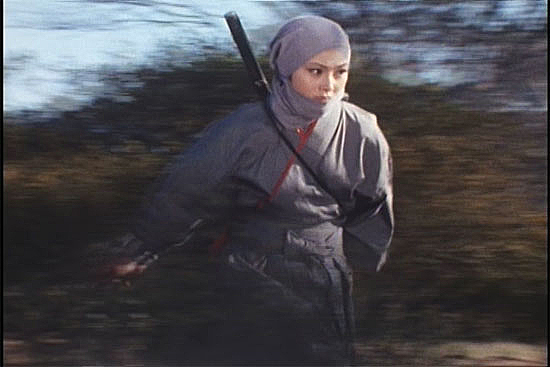 Now that you mention Oedo, how about actress Natsuki Yoko who acted in that series as the kunoichi Kazaguruma Okiku? 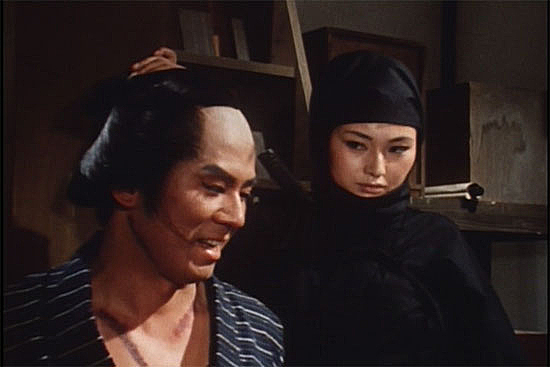 She never dressed up as a ninja but always wore a kimono. 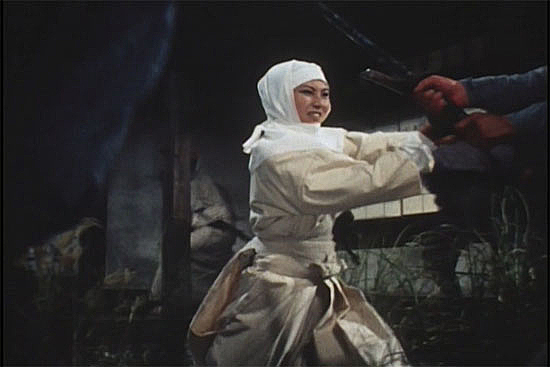 Her weapon of choice was a sword that was hidden inside her Shamisen. In order to fit inside the Shamisen, the weapon was shorter than a Katana. 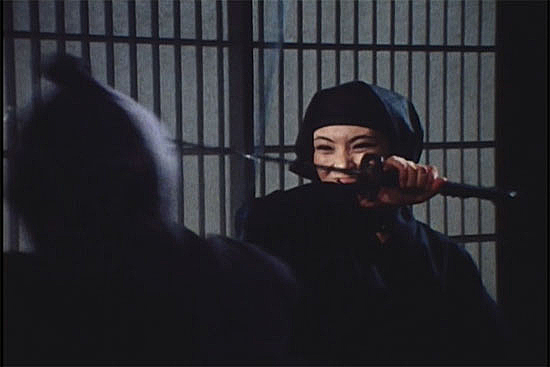 But in the climax of each episode, she would use a regular Katana just like the main actor Matsukata Hiroki. 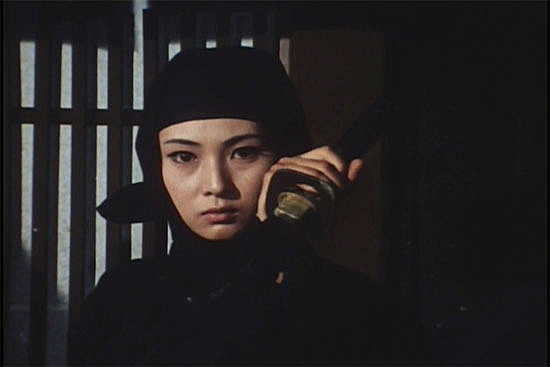 On the other hand, when Natsuki Yoko acted in the other series, Abarenbo Shogun, she often wore a traditional ninja outfit. 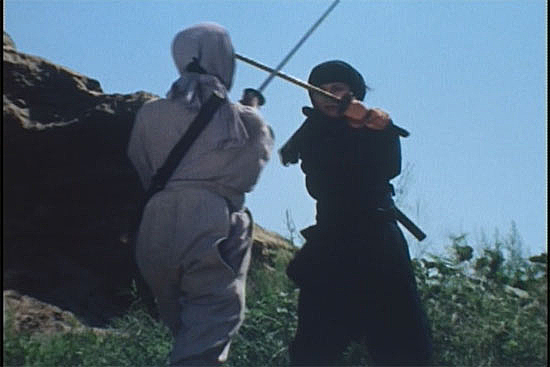 Also using ninja sword held in underhanded technique just like Zatoichi. Hopefully a fitting tribute can be made to Natsuki Yoko on your website.